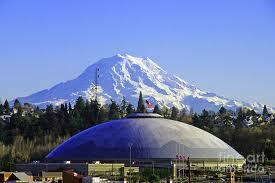 Enticing opportunities await your business in Tacoma. The City of Tacoma and the State of Washington, in cooperation with the private sector, have created a great business climate so that fewer incentives are needed. For example, businesses in Washington State do not pay corporate excise tax, nor do their employees pay personal income tax. This enables companies and their workforce to retain more of their earnings without the need for additional incentives. We invest the tax revenues we receive wisely in infrastructure, workforce development and other areas to assist business growth and expansion. There is no personal income tax in the City, County or State. There is no corporate excise tax in the City, County or State. There is no property tax on inventories. There is no square footage tax. There is no separate transit district tax. There are no impact fees. The City of Tacoma charges a Business & Occupation (B&O) tax, but it can be offset by tax credits. Businesses whose gross income is equal to or less than $250,000 annually are exempt from the B&O tax. Companies with gross incomes between $250,001 and $300,000 pay according to a sliding scale. Business license fees are modest ($90 annual fee for businesses with annual gross incomes of ≥$12,000).